The Southern Connecticut State Owls have had a season of ups and downs in 2019. In spite of some low scores earlier in the season, the Owls have surpassed a 192 team total three times this year alone. Prior to 2019, that had only happened one time in program history. A key contributor to that success is standout freshman Hannah Stahlbrodt, the team’s only consistent all around performer. 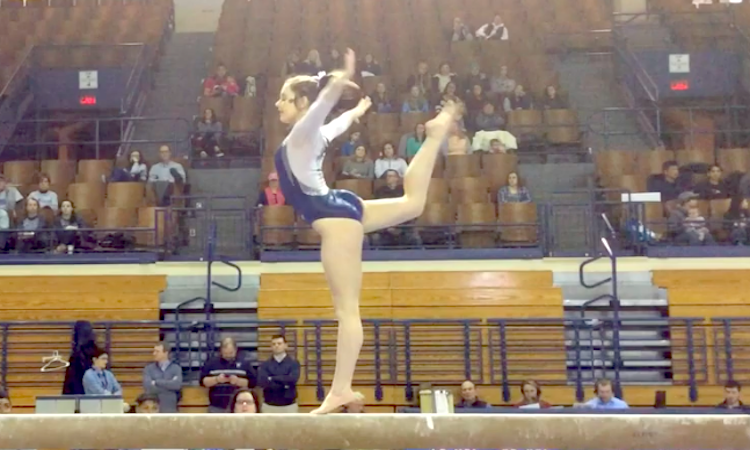 She has competed all four events in all but one meet this season, and one of those performances resulted in the only 39-plus all around score to have ever been recorded by any Southern Connecticut gymnast. Stahlbrodt isn’t the only freshman to make an impact on the team. Her six classmates have also made consistent lineups, including fellow ECAC weekly honors winners Cassidy Girolamo and Noely Macias. 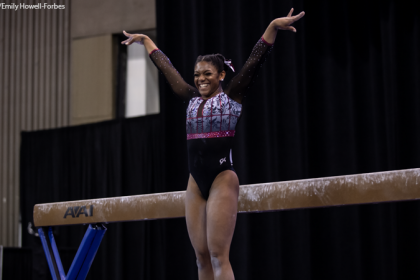 These three gymnasts are some of the top scorers in all four lineups, with at least one having scored one of the top five scores this season on every event. Nelson agreed. 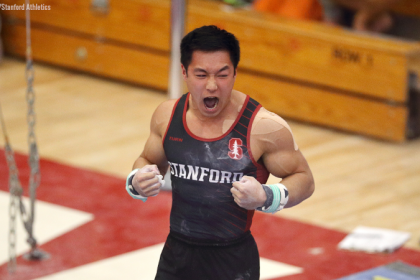 “They’re just as excited as a DI team scoring 9.950 when they score 9.750, and the difference is only a few tenths. 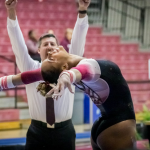 They’re very hungry to prove themselves and do well.” Nelson also praised his fellow DII coaches, whom he says are just as passionate as their gymnasts. Like what you see? Consider donating to our efforts throughout the year.